Private entrances, private gardens, kitchenette, IDD telephones, fans, TV and DVD player, air-conditioned bedrooms, en-suite bathrooms, free wi-fi. We can prepare a scrumptious BBQ or Seafood BBQ in your villa or you can simply choose from our in-house menu. We have trained cooks to prepare any meal for you, so you can sit back and enjoy. Our prices are very reasonable and anything not on our menu, just ask and we will certainly try and help. 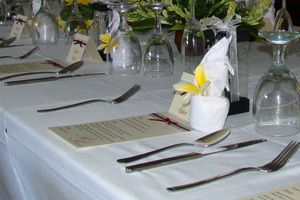 We also do a fantastic Balinese dinner for 10 or more people. 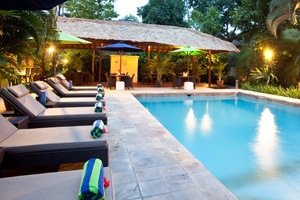 Villa Coco has full time staff to take care of all guest requirements. Housekeeping service, baby sitting, laundry and dry cleaning service, i-Pod sound dock available on request, TV, and DVD player. 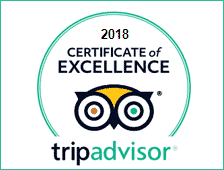 For guests’ leisure our staff will assist to help arrange ticketing, postal requirements, car rental and any day tours, free wi-fi, doctor on call at all times and 24 hour security/front desk on duty. Baby stroller, Hi-chair + Baby car seat available on request. Main Swimming pool, bar and restaurant. Safety deposit box in each villa. Beauty & massage treatments. Mini bar + free Wi-fi throughout the property. Every Monday, Wednesday and Friday at Villa Coco @ 9.30am, price Rp 550,000++ per person. And Market Classes on Monday, start from 8.30am, price Rp 600,000 per person. 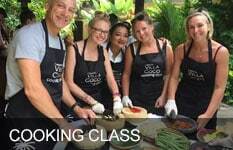 Includes class, recipes, your lunch to eat at Villa Coco with your fellow cooks. All made by you with love! Limited space available.